Acne Face Wash by Reverta gently cleans your face, clearing acne and blackheads while preventing new breakouts. Eliminate and control inflammation, swelling, redness and clogged pores associated with acne. Plus Cucumber Extract cools and relieves itchy skin. Take control of your acne with a powerful acne treatment and face cleanser combined in one product. The oil-free formula contains Salicylic Acid to fight acne and prevent future breakouts, while gently cleaning pores for incredibly clear skin. 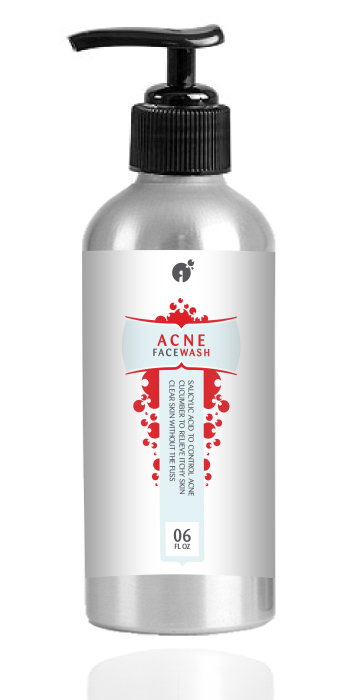 Because Acne Face Wash does not contain any harsh chemicals, you may use it multiple times a day. Try Acne Face Wash Risk-free for 3 Months! Salicylic Acid is naturally derived from the bark of the willow tree. 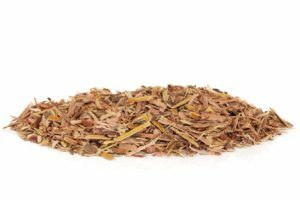 The bark of the Willow Tree naturally contains Salicylic Acid. Salicylic acid is a beta-hydroxy acid. Its chemical structure is similar to that of aspirin. Salicylic acid works very well for acne. It is much safer than benzoyl peroxide when used for long periods of time as it will not damage or irritate the skin. Salicylic acid fights pimples (including whiteheads and blackheads). It also reduces the skin’s oil production and renews the skin by promoting the shedding of dead skin cells. Salicylic Acid has been used for ages to reduce acne. Salicylic acid helps the skin get rid of dead skin cells (as in a mild scrub). The result is that fewer skin pores are clogging up. Salicylic acid penetrates deep into the skin pores. It clears out oils that have built up around the hair follicles. This will help to reduce the number of bacteria that like to grow in this mixture of dead skin cells and oil, further blocking the formation of acne. Salicylic acid is much better than scrubs and peelings, because it doesn’t irritate or damage skin. Salicylic acid is a unique ingredient, as it is able to both exfoliate the surface of the skin AND remove dead skin cells and oils from within skin pores. Salicylic acid also regulates how fast skin cells are being shed from the surface of the skin. Cells around the hair follicles tend to multiply quickly. Mixed with too much oil, dirt and bacteria, this results in inflamed and enlarged skin pores. Salicylic acid not only clears out clogged pores, but also reduces the size of those pores. Cucumber fruit, a member of the pumpkin family, has gained considerable popularity recently as an ingredient in many skin care products. Cucumber extract contains glycolic, lactic and salicylic acids, all of which help loosen dead skin cells. 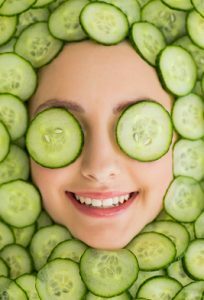 Cucumber moisturizes your skin, while reducing swelling and puffiness of the skin. Cucumber contains vitamins C, K and pro-vitamin B5, all of which protect the skin. Cucumber calms and rejuvenates the skin, while relieving itch. Pro-Vitamin B5 (Panthenol) is a vitamin found in all living cells. It reduces itching and skin swelling, while soothing dry and rough skin. Pro-Vitamin B5 is good for moisturization of the skin and reduces redness due to irritation. Try Reverta Acne Face Wash Risk-free for 90 Days! Active Ingredient: Salicylic Acid (2%). Other Ingredients: distilled water, Coco Betaine, Poly Decyl Glucoside Carboxylate, Sodium Lauroyl Lactylate, PEG-150 di-Stearate, ProVitamin B5, Cucumber (Cucumis sativus) extract, Willow Bark Extract, Potassium Hydroxide (for pH), Phenoxyethanol (preservative), Essential Oil of Orange (Citrus sinensis) (fragrance). Wet face and massage Acne Face Wash gently onto entire face. Rinse off with cold to lukewarm water. Use a clean towel. Avoid contact with eyes. Frustrated with those annoying acne breakouts?